Vobis manufactures pilot scale Forced Circulation Evaporators well suited for feed streams with either high viscosity, with the tendency to crystallize when concentrated, or which tend to foul or scale heat transfer surfaces. Vobis Forced Circulation Evaporators are designed to insure efficient processing. First, the pump circulates the liquid feed material through the appropriately sized heat exchanger tubes at a high velocity; the feed material’s velocity is high enough to provide rapid heat renewal and transfer, and to keep the heat transfer surfaces free of fouling and scaling even with high viscosity solutions and heavy slurries with crystals. 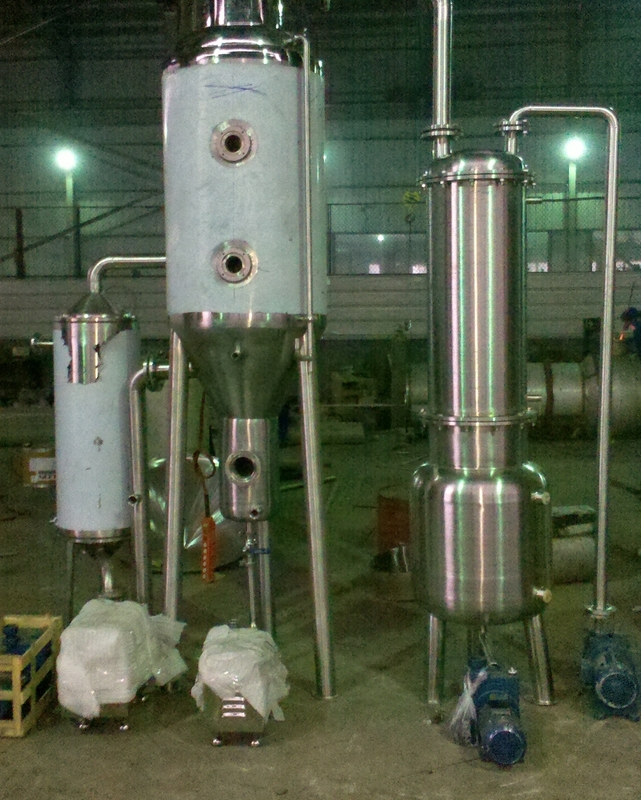 The vaporization of the volatile components does not take place until it is in the vapor head of the vapor separator. The vapor separator is specifically designed to minimize entrainment of droplets. We couple this with high efficiency entrainment separation technologies to further reduce entrainment. 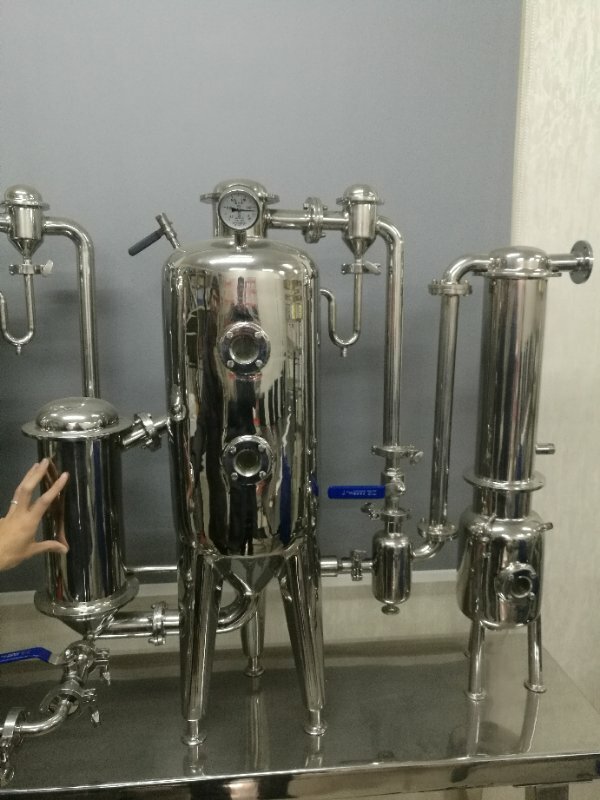 (Liquid level is maintained in the heat exchanger above the heated surface and evaporation takes place only in the separator, which prevents fouling.) Typically operated under a slight vacuum, the temperature required for evaporation is reduced to protect heat sensitive products. Vobis pilot scale forced circulation evaporator systems are recommended to clients seeking to fully characterize their processes before having Vobis help them in scaling up to implement production throughput single or multiple effect equipment systems. 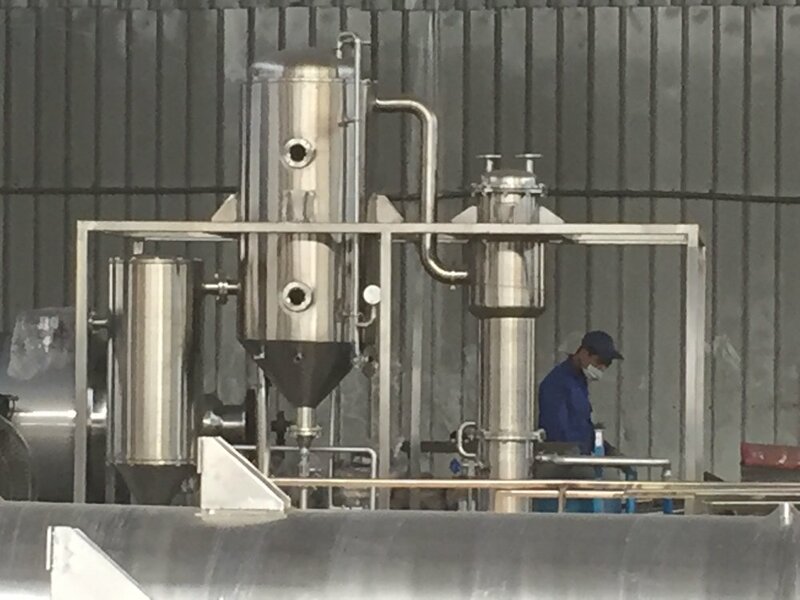 Typically, the single-effect scale pilot system is translated into an energy efficient production scale multiple-effect evaporator which may incorporate mechanical vapor compression or thermal vapor compression for added energy efficiency. Please note: Vobis, LLC also manufactures production scale forced circulation evaporation systems, which can be seen at our Vobis, LLC website.